I've just received my first mDNS warning letter from VM, but I have my PS4 in DMZ. I'm not willing to disable DMZ, so I'd much prefer a different solution. ; <<>> DiG 9.10.4-P8 <<>> @81.**.**. ** -p 5353 -t ptr _services._dns-sd._udp. _services._dns-sd._udp.local. 10 IN     PTR     _spotify-connect._tcp.local. I don't use Spotify and haven't downloaded it onto the console, but it appears in the report above. Again, running dig using my WAN IP still shows "no servers can be reached", which I thought would mean the port 5353 issue was resolved. Can anyone offer some advice? Just as an update to the above post - which I missed. And port forwarding seems to have subsequently kicked in for him and blocked the port. @ravenstar68 I just had a mDNS letter lol. I know why: I put my PS4 in the DMZ because port forwarding was failing. Funny thing is, they must have scanned so fast because I didn't waste much time before forwarding mdns and ssdp to a non-existent internal IP. Still you must have been really unlucky to be caught by Shadowserver. Good pointer and yes, they must be scanning VM IP addresses very often. Can I use the same IP addresses as the ones you guys have used? Also, I have to choose a Predefined rule (service) and I don't know what to choose. Where it says services I chose a service and then chose the default services tab again so that I could click apply afterwards, obviously I filled out the other usual information but does this look correct to you guys? Am I able to use the DMZ again? I deleted spotify as a precaution (even thought it wasn't actually installed) and I am only assuming the PS4 is the issue a t this moment in time as that is the only device in the DMZ. Thank you again. P.S. quite a few months back I posted on these forums about an attack on my router from a player in an online PS4 game, one or two people said it wasn't possible but after receiving this letter it is possible it seems, they shut my internet down for exactly an hour after sending me a message laughing how my internet is going down. First off - Leave the services tab alone. That is there to assist you if you are setting up forwarding for well known services such as HTTP or FTP by filling in the port values automatically. You just need to make sure that the IP address you are forwarding to is not likely to be used by any devices. For this reason I usually use 192.168.0.254 as it's the highest possible IP on your subnet, and unless you have a lot of networked devices, is unlikely to be used. I'm going to deal with with the last part in 2 stages. First off - having a device on your network respond to mDNS queries from outside, isn't used to attack you directly. Rather it enables hackers to use your PS4 as part of a DDoS attack on other people. However while in the past DDoS attacks were mainly used against corporate targets, there is a rise in "stresser" sites enabling anyone to purchase DDoS attacks, so it's certainly within the realm of possibility that the user did launch an attack. However to deal with such individuals I would contact Sony and let them have is Playstation ID and the time the conversation took place, as Sony may decide to take action against the individual. Received my 1st letter a little while ago and followed the port forwarding advice with no problem. It was saved/enabled when I left the router. Just received 2nd letter and checked my device to find my port forward has gone/removed. No one has access other than myself to the router so I know I haven't removed it etc. Has this happened to anyone else? I also have my PS4 in dmz and would rather it stayed that way, but if this is going to continue I might take it out of it. I have had one email and three letters now. I have contacted Virgin who confirm the settings on Router as configured correctly but I have just received another letter. If DNZ is not enabled now can Shadowserver be getting these results? 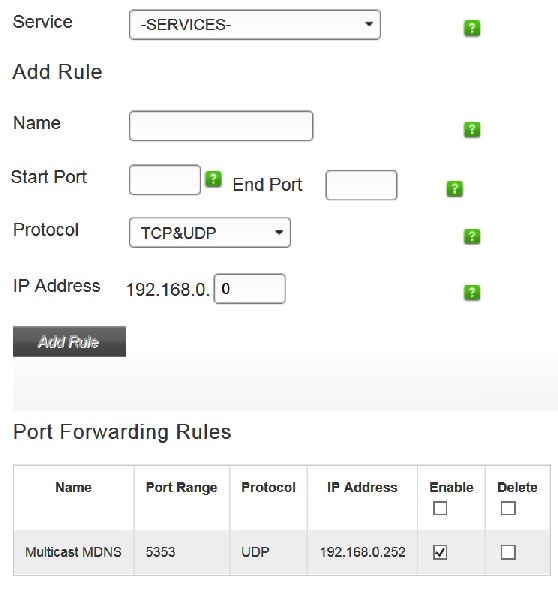 I've got the second round of communication from Virgin regarding this, so it seems the first set of suggestions (blocking outbound mdns) didn't work (I know my way around a router - Draytek so am confident this is disabled) I only have 1 open port inbound the rest are blocked. I'm slightly confused how this shadow service would know I have outbound mdns requests? Inbound, I understand, but I've done multiple firewall checks and only 1 port is open and doesn't respond. What I'd like to know and to be frank Google has failed me, is how can I tell where the "rogue" mdns is coming from? I have a bunch of devices, servers and laptops on the network in addition to a lot of home smart devices so trying to find out the culprit is difficult without packet sniffing the network.